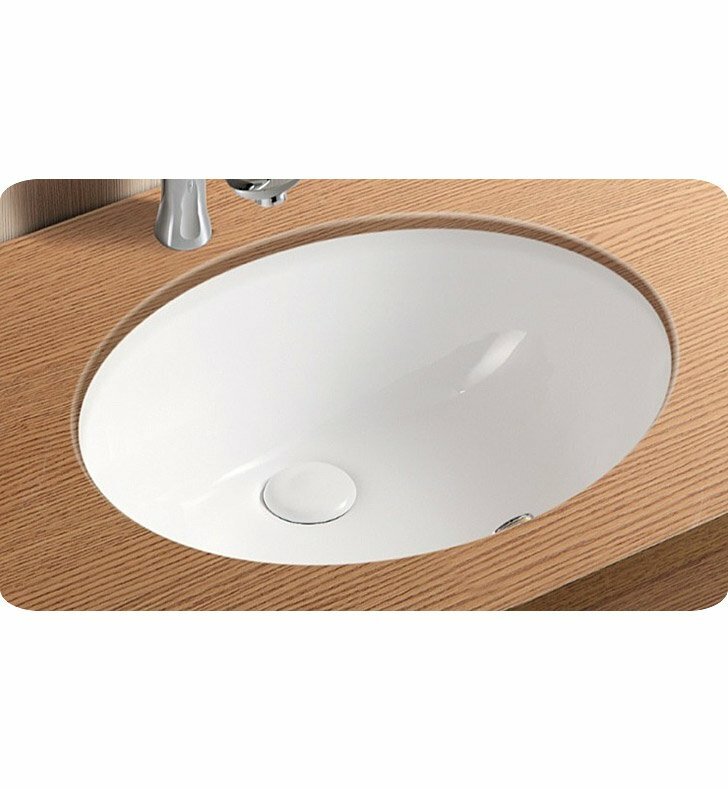 Oval undermounted sink with overflow made of porcelain with a white finish. Visualized by Caracalla in Italy this sink does not contain faucet holes. Sink has a graceful presence and has overflow. Dimensions: D 15" x W 18" x H 7 3/4"